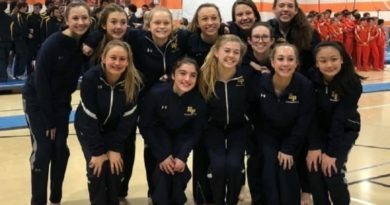 The Highland Park girls will join their boys counterparts looking for gold at the state gymnastics meet in Odessa. 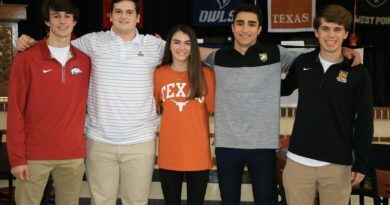 Highland Park benefited from hosting its regional competition, and qualified a full team for both boys and girls to the Texas High School Gymnastics Championships on April 28-29 in Odessa. Adam Elahmadi lifted the Scots to a runner-up regional finish by winning the all-around championship, as well as individual event titles on vault, pommel horse, rings, horizontal bar, and parallel bars. Elahmadi also was third on floor exercise, while teammate Marshall McIlyar took third on parallel bars and high bar. On the girls side, HP placed third as a team led by sophomore Lily Overton, who finished third in the all-around and third on uneven bars and floor.